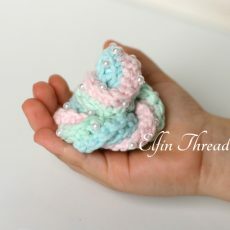 This is a crochet pattern to make this wonderful glittery Unicorn Poo, that smells like coconut and vanilla! 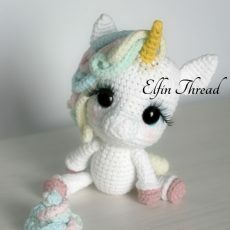 A magical unicorn is descending from the clouds in a rainbow slide directly to you… will you take her with you? Who’s there hiding behind the Christmas Tree? 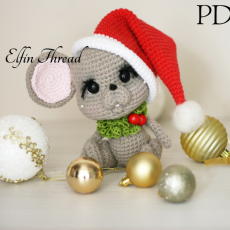 It’s Marichi the Mouse, and he also wants to bring special gifts to everyone around just like Santa! 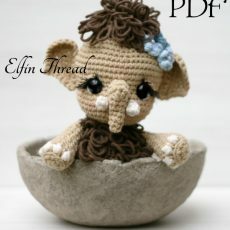 We are back to the prehistoric times, and a cute baby mammoth is looking at you… how can you resist? 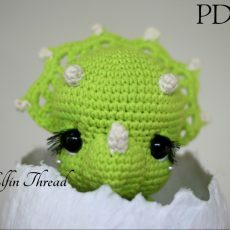 The egg just broke and this cutie is looking around… a baby Triceratops needs someone to take care of him! 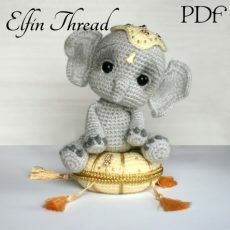 Let me introduce Elil, a baby elephant born in India 🙂 His mother embellished him with all the golden colors of their opulent country because she is very proud of him. 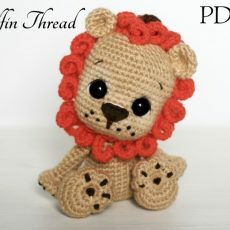 His name means “handsome”, and of course he is!